Welcome to Classic Sign Services in O'Fallon, Missouri. We want to help you make amazing signage and be your branding partner, helping you grow your business with a heightened level of professionalism that draws potentials and repeat customers to your door. The right sign and branding package can do all of that and more. Our dedicated team is licensed and bonded in the following counties and over 200 cities – St. Louis, St. Charles, St. Louis City, Lincoln, Warren, and Franklin Counties. We are so glad you're here! It is our mission to make superior quality signage and promotional packages easy by handling all aspects of your needs. From sign permitting and surveys to design and installation, as well as digitally printed banners, large format signage, apparel, and embroidered wear, we can be your local expert, helping to elevate your brand. We only use the highest quality materials, our own designers, technicians, in-house printers, and installers, and operate with honesty, fair pricing, fast turn-around, great value, and the promise that if it's not right, we will fix it. If you are already a customer, you have most likely met everyone on our team. If this is your first time with us, please read about our talented team that works together to give our clients the best signage and branding experience possible. 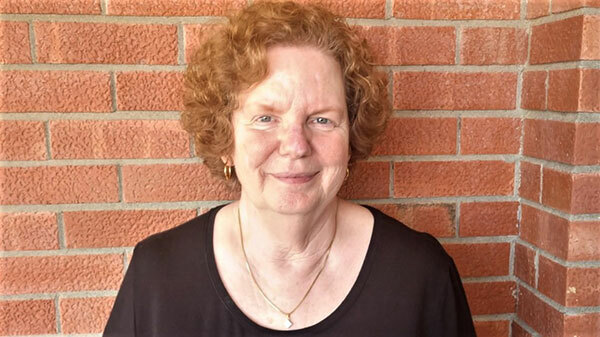 I am a lifelong resident of St. Charles County, having lived in O’Fallon, St. Peters, and the City of St. Charles. For many years, I was in the office supply business then founded what would become Classic Sign Services in 2001. I have always believed in helping our customers from start to finish. When I’m not working, I enjoy spending time with my family, Lions and Elk Clubs, golf, riding my motorcycle, and helping others; I enjoy getting out in the community. 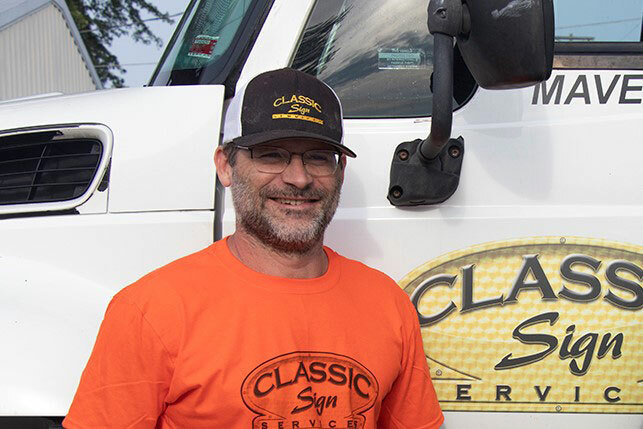 I could not be more proud of our team at Classic Sign Services or more grateful for our loyal customers – I am still excited to come to work every day after 17 years! As an employee wearing many hats at Classic Sign Services, my main goal is to clear off my desk daily! I love my job; we have a great crew that makes it all the more enjoyable. My commute is long as I live on a farm West of Troy, MO where my fiancé and I raise goats, cats and dogs. We were also blessed with a child in July of 2018; she is our everything. When I’m not with my family or my Classic Sign’s work family, I’m frequently found with my church family volunteering and/or doing God’s work. I hope to make a difference in anybody’s life – whether it’s with a well-made banner or a simple act of kindness. 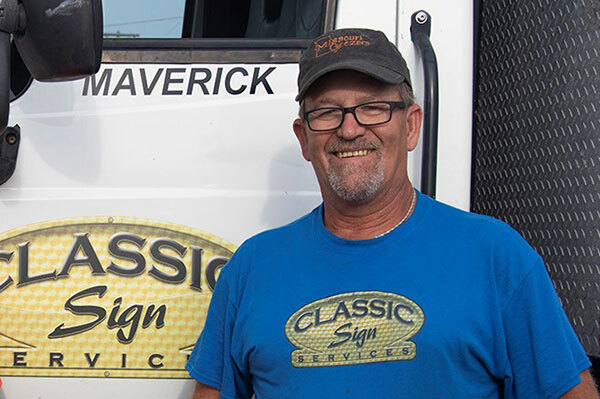 I have worked in the sign industry for the past 17 years, 5 of them on the wholesale manufacturing side, which has given me an edge at Classic Sign Services. I did make a career change for about a year, but there is something about working in the sign industry that made it hard for me to stay away. 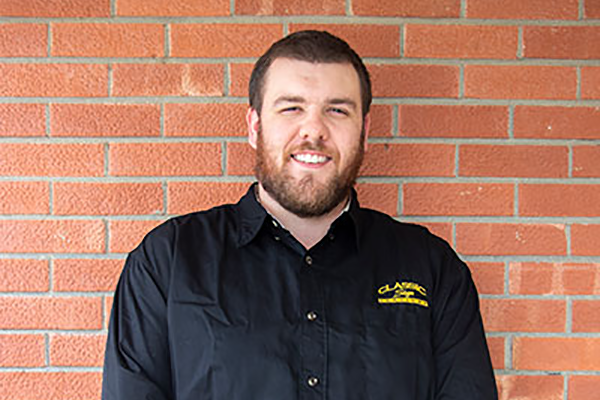 Returning to the industry was the best decision I could’ve made – it led me to Classic Sign Services! I have known Bill (the owner) my entire sign industry career and had job-shared with him many times. Bill is a great boss and we have a great crew here at Classic Sign Services; we work well as a team. I love getting to work with our customers and helping them with their signage needs. When I’m not designing or pricing signs, I am spending it with my boyfriend, my son and daughter, who are my world, and our 2 dogs. We love the outdoors and spend most of our time either at the lake boating and fishing, or riding 4 wheelers and camping. I have been in the construction/repair industry for 30 years. Working at Classic Sign Services is one the more enjoyable jobs I've had. My co-workers are great people and the owner, Bill, really goes out of his way to look out for his employees just as much as he does for our customers. I can't wait to see what the next few years has in store for our steadily growing company. 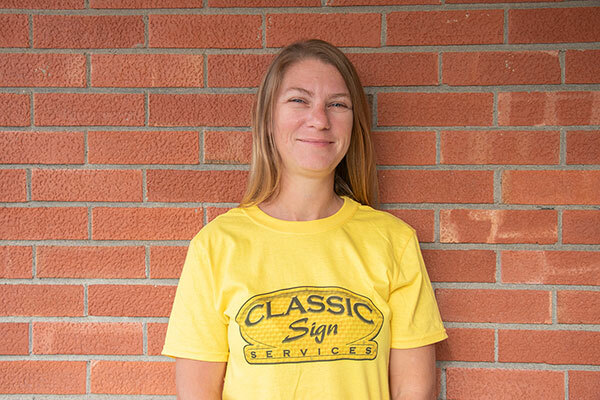 I have been with Classic Sign Services since April of 2018. I was most recently living a mile from Mount Rushmore, in the Black Hills of South Dakota. I have known Bill for many years – his persistence to come work for him finally paid off as I loaded up the truck and moved back to Missouri. I have been in sales (selling to sign companies) and construction since my discharge as Coast Guard C-130 Navigator in 1983. I had my own distributorship selling to sign companies from 2006-2016. I love my job at Classic Signs and my co-workers, my boss, and my customers. Everyone here works as a team, helps each other, and we all strive to be the best at what we do! 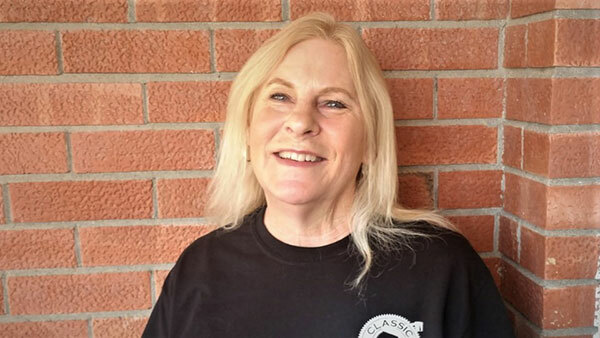 When not selling or installing signs, I can be found with our Classic Signs bowling team, golfing or fishing, or drying my hair on the open road on a motorcycle with my wonderful wife Ovella, also a Classic Sign Seamstress. I work part-time at Classic Sign Services. I love the company and the daily interaction with our super customers and my co-workers. We work well together as a team and it shows in the product that is produced. Previously, I worked 23 years for a Civil Engineering firm in Tampa, Florida, where I was responsible for the Accounting and HR functions. I retired at the end of 2015 and moved back to the St. Louis area to be closer to my family. I love being part of the Classic Sign Services’ team. My job is to embroider your clothing and do your direct-to-garment printing to make your brand shine. I moved back from South Dakota with Craig for this great job, but have lived in the area most of my life. All my coworkers are great team players and Bill, the owner, is great at keeping our team on task and doing our best. Craig and I enjoy our bowling team – although we need some more practice – we certainly have lots of fun! 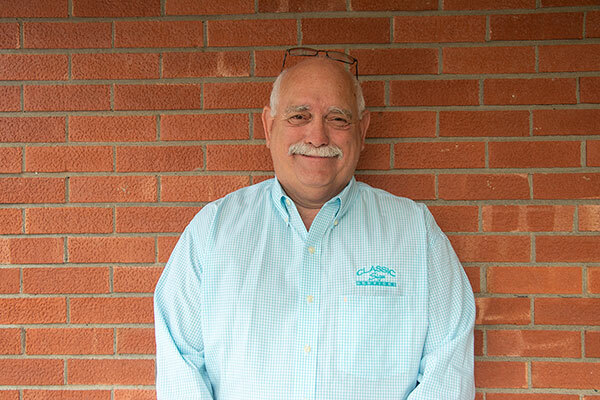 I look forward to many more years at Classic Sign Services as our company continues to grow.